FRANKFURT (MarketWatch) — It’s been a whirlwind 100 days for Mario Draghi since taking the helm of the European Central Bank, highlighted by two rate cuts, the injection of a massive dose of liquidity into the banking system and an apparent concession on the institution’s holdings of Greek government debt. But with the jury still out on the potential for a euro-zone recession and a perilous debt crisis yet to be tamed, the ECB president won’t be moving out of the spotlight when he marks his 101st day in the top job by presiding over Thursday’s policy meeting of the governing council followed by his monthly news conference. The ECB is expected to leave its key lending rate at a record low 1% when it announces the outcome of the policy meeting at 1:45 p.m. Frankfurt time, or 7:45 a.m. Eastern on Thursday. The real fireworks will come when Draghi begins his monthly news conference at the ECB’s headquarters at 8:30 a.m. Eastern. Draghi is expected to again credit the decision to meet all demand for collateralized, three-year loans fixed at the ECB’s policy rate of 1% with averting a potential freeze in credit markets as debt-wary banks stopped lending to each other. 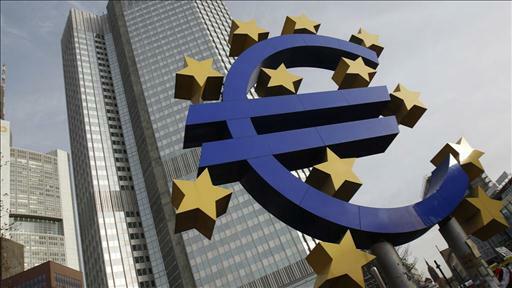 More than 500 banks stampeded to the ECB window in December to take up 489 billion euros ($649 billion) of loans. A second such long-term refinancing operation, or LTRO, is set for Feb. 29. “We expect the governing council to wait for the outcome of this operation before they decide whether more measures are needed,” said Frank Oland Hansen, an economist at Danske Bank in Copenhagen. Is the ECB softening its position? There is talk that the European Central Bank is caving in and will take a Greek haircut. And Thursday the bank holds its next policy meeting in Frankfurt. How much is the ECB prepared to help? The December LTRO has been credited with heading off a near-term credit crunch, with overnight bank funding costs dropping below the central bank’s 1% refi rate. It also appears to have provided banks with the funds to buy up high-yielding government debt across the euro zone. Italy’s 10-year bond yieldIT:10YR_ITA -0.16% , which had soared into unsustainable territory near 7.5% in November, has fallen back to less than 5.6%. Spanish yields now trade near levels last seen in late 2010, with the 10-year ES:10YR_ESP +1.67% yielding less than 5%. The moves have been more pronounced at the short end of the yield curve, where peripheral yields have fallen sharply. Perceptions the LTRO has sharply reduced the risk of a bank failure due solely to liquidity problems over the next three years has also triggered a decline in bank credit risk premiums, noted Elwin de Groot, an economist at Rabobank in Utrecht, Netherlands. Diminished worries about the banking sector have also helped insulate the euro from a series of delays in finalizing Greece’s latest bailout package. The euro EURUSD -0.10% hit a two-month high on Wednesday versus the dollar and remains up 0.2% from Tuesday at $1.3278. Economic data are also expected to set the stage for a wait-and-see approach. Business surveys indicating overall activity in the euro zone stabilized or picked up in January after a rough fourth quarter. The moves came after Draghi and the ECB had been previously criticized for not ramping up the central bank’s own bond-buying program in order to hold down borrowing costs for Spain and Italy. “All of a sudden, the ECB appears to have gone from zero to hero,” said Jonathan Loynes, chief European economist at Capital Economics in London. 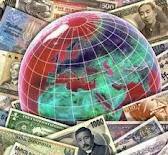 However, worries remain over the potential for a credit crunch in the euro zone. Banks continue to park near-record amounts of funds in the ECB’s overnight deposit facility, which appears to underscore reluctance to lend. And economists found a sharp slowdown in euro-zone private-sector lending activity in December troubling, warning that it remained to be seen whether the LTRO would serve to avert a full-fledged credit crunch. Read earlier story about euro-zone lending data. “The real success of the LTROs will have to be measured in terms of the extent to which they will contribute to a positive reversal in bank lending in coming months,” De Groot said. Draghi is certain to face a barrage of questions over news reports the ECB is now willing to forgo at least some profit on its holdings of Greek government bonds as part of a broader effort to ease the country’s debt burden and clear the way for a final agreement on a €130 billion bailout from its euro-zone partners and the International Monetary Fund. Without the bailout, Greece is seen as certain to default in mid-March when a large bond repayment comes due. The ECB had previously refused to consider participating in any restructuring of Greek debt. Carsten Brzeski, senior euro-zone economist at ING Bank in Brussels, said such a maneuver would further mark a “much more pragmatic, much less dogmatic” ECB under Draghi. But the move would also raise questions about the ECB’s independence and credibility since pressure on the central bank to participate appeared to come from the IMF and European Commission, he said. It could “leave the impression that the ECB bows to pressure from others,” he said.